Is iOS 10.3.2 Jailbreak Release Happening before Apple Rolls Out iOS 11? Chinese security researchers have showcased via the MOSEC 2017 that both iOS 10.3.2 and iOS 11 can be jailbroken. 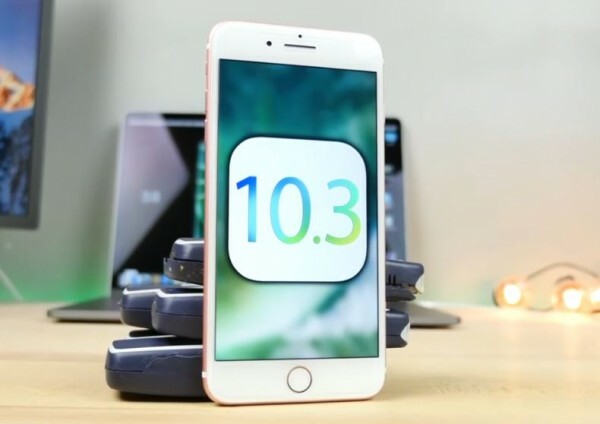 While it's unlikely a crack on iOS will be made available prior to its official rollout by Apple, what is the chance that an iOS 10.3.2 jailbreak release is happening anytime soon? The hacking group identified as KeenLab proved last week that iOS 10.3.2, the latest mobile OS version issued by Apple, is open for jailbreaking. According to WCCFTech, KeenLab demoed the firmware 10.3.2 running on the iPhone 7 and iPhone 6S Plus with Cydia running. The presentation is somehow proof that when the iOS 10 version is unlocked, the solution is able to run on most 64-bit devices. And when it happens, the jailbreak release, the tool that KeenLab is set to provide will most likely be of the semi-tethered kind or nearly in the sale league of the Yalu jailbreaks that Luca Todesco had earlier assembled, the report said. For most jailbreak fans, that will be okay but the more pressing concern is: Will KeenLab actually release a finalized version of what was presented? If the events seen with the MOSEC 2016 were to be the reference, the chance is slim. Back then, Team Pangu demonstrated that iOS 10 can be jailbroken but the hacking group never followed through and the same thing could happen this. However, if KeenLab is really serious on jailbreaking 10.3.2 then the group can get all the help required to finalize the solution. One could come from the supposed KPP exploit that security researcher Adam Donenfeld will reportedly share to the public. If a bug will prove a help in opening up iOS 10.3.2 then there is no reason for KeenLab not to finish what was started. In such a case, the 10.3.2 jailbreak release can be expected between August and September as Donenfeld is said to reveal his exploit in August. If the latter delivers then there is a window that will open for a possible jailbreak release before Apple is able to roll out iOS 11. But the KeenLab demo can also lead to nothing for the jailbreak community. It's possible, BGR said, that the MOSEC 2017 demo was all about business - security researchers showing off iOS bugs for the highest bidder. Meaning the jailbreak concepts are actually for would-be buyers or "intelligence agencies and other parties, which could use them for malicious purposes," the report said, adding that nowadays "hacking iOS can be a very lucrative business." And jailbreak fans will be left waiting for nothing at all.